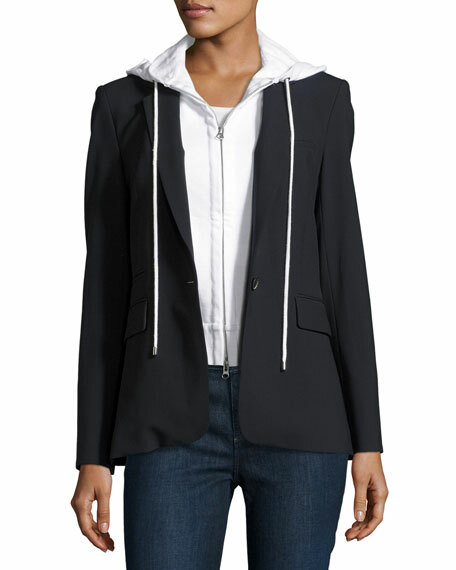 Veronica Beard dickey in knit; made to wear under jackets. 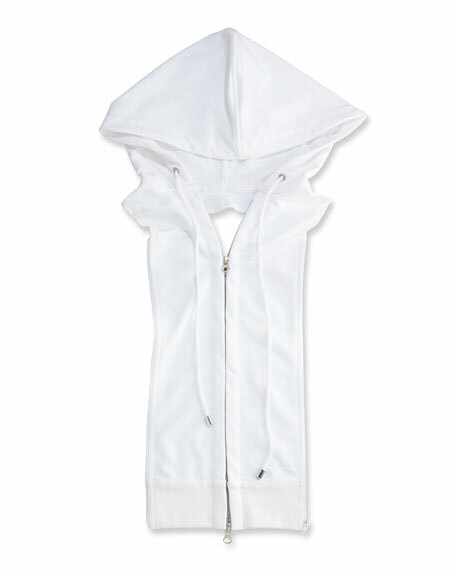 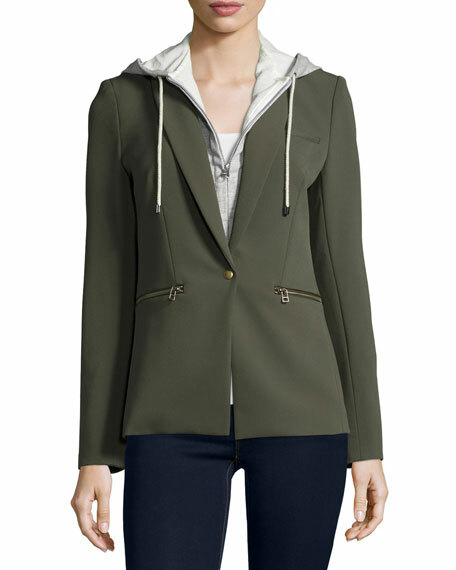 Hooded with drawstring; two-way front zip. 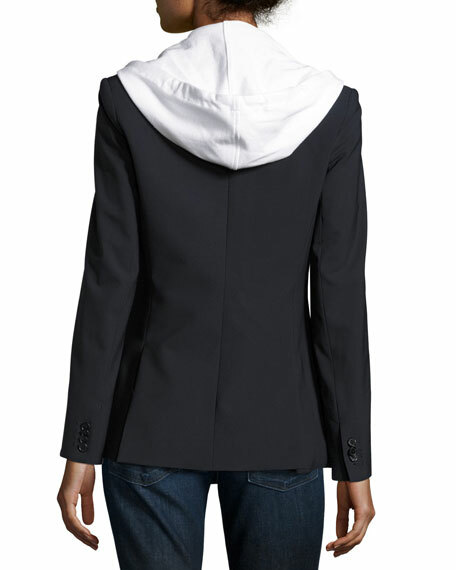 Please note: Jacket sold separately.